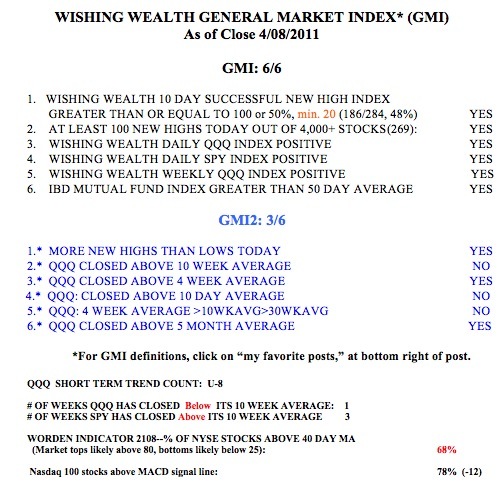 All of my GMI indicators remain positive. This week, first quarter earnings announcements begin and on Friday we have option expiration. I am still concerned about the weakness in AAPL and the QQQ. Note that the QQQ closed back below its 10 week average. Nevertheless, I must ride the up-trend for now. Click on table to enlarge. uhmmm… hard to see where you are riding the up-trend. Most stocks are diving!